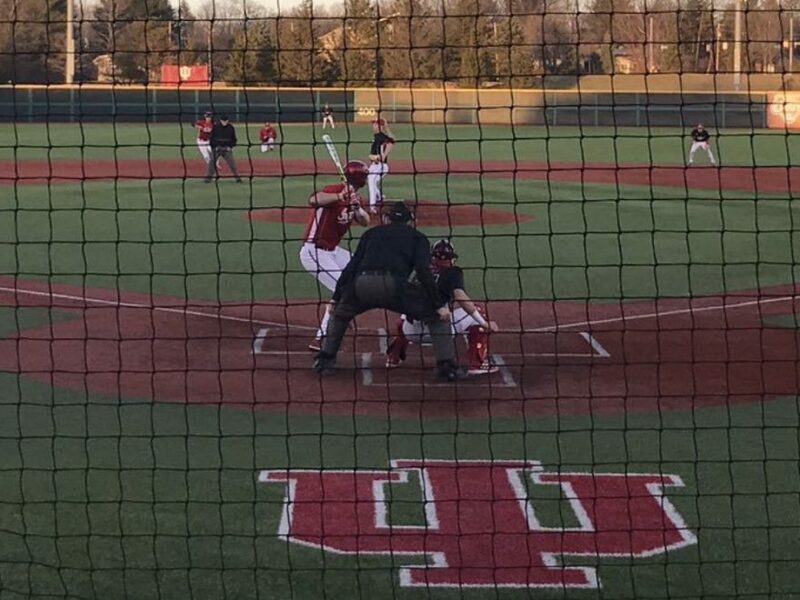 I have run an exercise where I take Indiana Baseball’s 2018 schedule and apply their opponents’ prior year performance to generate an estimated strength of schedule. The true strength of schedule will not be known until these teams have actually played baseball in 2018, but this gives us a starting point. When I did this exercise in the early part of 2017 that schedule look good on paper, but turned out even better because those teams won about 54% of their games in 2016 but ended up winning closer to 58% in 2017. Two-thirds of SOS is simply about your opponents winning lots of games. Indiana’s 2018 schedule would have been a strength of schedule (SOS) of 0.5196 for 2017. For comparison, the Hoosiers had a SOS of 0.5521 in 2017, which was in my opinion an ideal SOS for achieving an at-large bid. It was made strong by not playing any bad teams (no teams in the bottom quartile of Division 1). Only 4 games against eventual regional hosts, but there were no cakewalks for the Hoosiers in 2017. So what does an SOS of 0.5196 look like for 2018? I have looked at an example: Louisiana-Lafayette had close to a 0.520 SOS last year with 35 wins and an RPI of 61. The Ragin’ Cajuns did not make the NCAA tourney (they were bounced in round 1 of the Sun Belt Conference tourney, which was shortened to single elimination due to rain). If 2018 shapes up like 2017 (2018 teams perform similar to 2017 on average), the Hoosiers are looking at needing a roughly 40-win season for an at-large bid. In my opinion, a top-16 seed (needed to host a regional) is very tough with this SOS, but not impossible (see the last section below). The NCAA Selection Committee was very RPI reliant last year. The good news is that 40 wins is very possible with this team and this schedule. *This is the part of the schedule that kills the SOS for the year. If you question whether 10-0 here is realistic, consider that the 2017 Hoosiers had a 10-1 stretch from March 11 to March 28, 2017. That stretch included a 4-game road series at a good Hawaii team. The 2018 stretch is March 7th to March 20th (same time of season), the competition is much lighter, and every game is at the Bart. I think that is all very doable for this team and that is without any sweeps in B1G Conference. I did also adjust this for a best-case scenario, which is mostly the same as above with extra wins against Iowa, Nebraska, and Northwestern. That goes from 13-11 in the B1G to 16-8. Along with a 4-game sweep of the B1G Tourney, RPI goes to 0.5822, which would have been ranked 17th. I think IU would host would that RPI. So it is possible but it would require one heck of a season. Next Post:New Year, New Season, Same Goal.